The federal government taxes many forms of income, from wages and salaries to interest and gambling winnings, but it also lets you claim tax breaks that let you keep some of your money tax-free. Through 2017, the Internal Revenue Service offers a tax exemption for each dependent you claim on your tax return. The dependent exemption is technically separate from the standard deduction, but both tax breaks function in the same way: they reduce your taxable income, which ultimately cuts the taxes you owe. As of 2018, this exemption disappears, but a separate child tax credit is available to families. You can claim a personal exemption of $4,050 on your taxes for each child up to and through the year 2017. In 2018, however, personal exemptions are done away with. 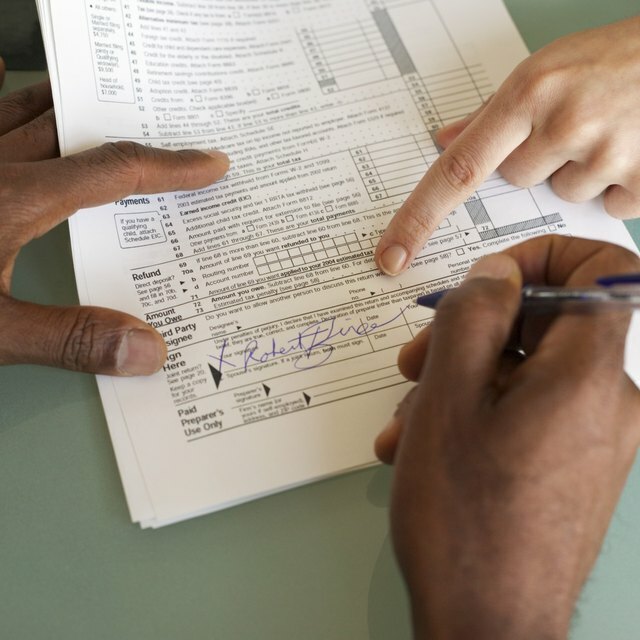 The standard deduction is a tax break you can claim on your tax return instead of claiming itemized deductions, which include things like property taxes, mortgage interest and gifts to charity. Standard deductions don't depend on whether you have children or other dependents; they depend only on your tax filing status. According to the IRS, the standard deduction is $6,350 for single filers and $12,700 for joint filers for the 2017 tax year. Through the 2017 tax year, a dependent exemption lets you slash another $4,050 off your taxable income for each child you claim, beyond your standard deduction or itemized deductions. You can also claim a personal exemption of $4,050 for yourself, and if you're filing a joint return, your spouse. Also, you can claim a tax credit of $1,000 per child, meaning your tax bill is reduced by $1,000 for each qualifying child you have. As of 2018, the rules around deductions and exemptions change, thanks to the tax law passed in 2017. The standard deduction is rising to $12,000 for single people and $24,000 for married couples filing jointly, but the entire notion of personal exemptions is going away, meaning no additional exemptions for more children. On the other hand, the per-child tax credit rises to $2,000. As of 2025, the tax credit is slated to shrink again, and the personal exemption to return, unless Congress acts again to extend the new tax provisions or change the rules again. Cutting your taxable income by $4,050 per child can result in thousands of dollars of tax savings, but not every child qualifies. To be considered a qualifying child dependent, your child must be under age 19, or 24 if a full-time student, have lived with you at least half the year and must not file a joint tax return or provide more than half his own support for the year. If your child does not meet these requirements, you can claim him as a qualifying dependent relative if his gross income is less than $4,050 and you provide more than half of his support for the year. If someone you claim as a dependent earns income, the tax break you get may increase the dependent's taxes. A dependent can claim the standard deduction just like other single taxpayers, but a dependent doesn't get a personal exemption. In other words, when you claim someone as a dependent, you use up their personal exemption to reduce your own taxes.